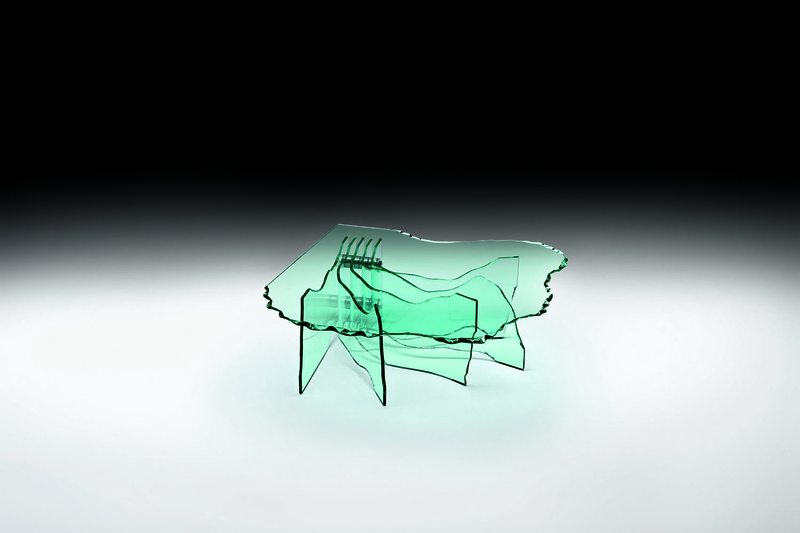 Shell is a unique glass coffee table with a hand-sculptured 15 mm-thick glass top. 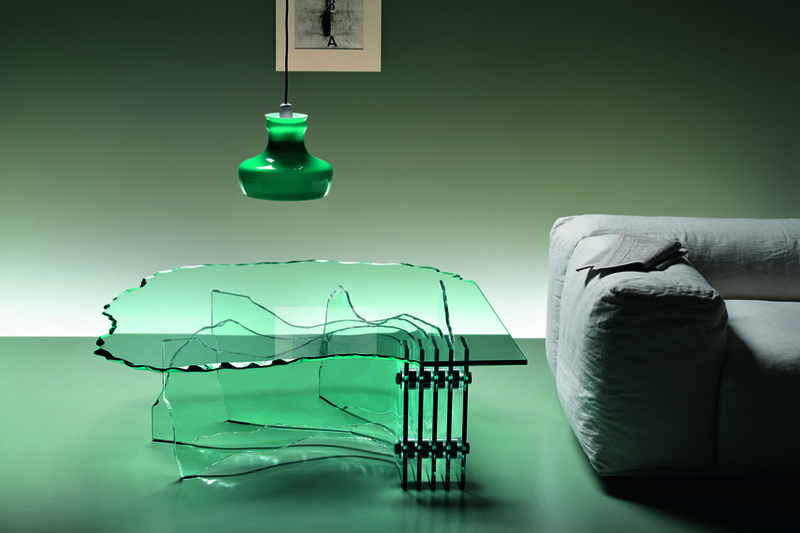 The base is made of five 12 mm-thick hand-sculptured glass elements, four of which curved, which as a group support the elegant top. The hardware is in stainless steel.